After rallying briefly on Tuesday morning, Ukraine’s national currency the hryvnia resumed its slide against the dollar, approaching a new low of UAH 16 to the dollar. Hryvnia quotations against the dollar on the interbank currency market on Tuesday slid to UAH 15.6100/15.9200 to the dollar, while against the euro the hryvnia was at UAH 19.3657/19.7455, according to online financial Web site UkrDealing. 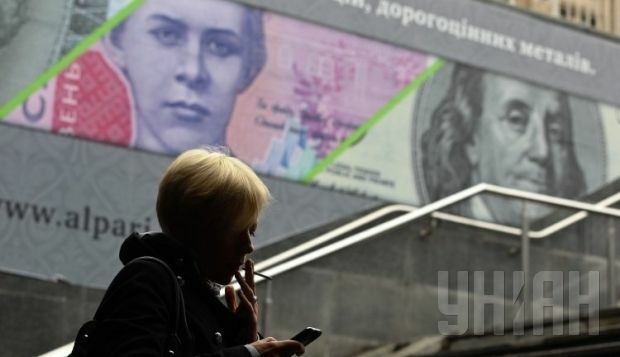 Quotations of the hryvnia against the Russian ruble were UAH 0.3357/0.3427. At the opening of trade, the quotations for the hryvnia against the dollar were at UAH 15.30/15.75. As UNIAN reported earlier, on November 10 at 1400 the National Bank of Ukraine set the official exchange rate of the hryvnia to the dollar at UAH 14.8042, a drop of 33 kopikas against the official rate of the previous business day and a new historic low. On Monday, during a meeting with the representatives of the largest Ukrainian banks, the NBU agreed to defend an exchange rate of UAH 15-16 to the dollar. Since November 5, the NBU has been conducting daily currency auctions of small volumes using a Dutch auction scheme to ensure exchange rate equilibrium or stabilize the exchange rate at the current level. According to bankers, on economic grounds the exchange rate should be in the range of UAH 13.50-14 to the dollar, but the weakening rate reflects expectations of a possible escalation in the conflict in the east of Ukraine. NBU Governor Valeriya Gontareva earlier said on Ukrainian television’s 1+1 channel that the exchange rate for the calculation of the state budget of Ukraine for 2015 should not be higher than UAH 12.95 to the dollar.